The Southern Glossary Instagram account is curated by a new artist or photographer each week. Every curator will put their own spin on the account, showing off work, their process, and their surroundings. Here's a Q&A with last week's curator, photographer Jen Ervin. As an undergraduate I studied painting and later I did my graduate studies in graphic design. With the exception of one traditional darkroom class in college, my photographic studies have been self-guided. Motherhood initiated a more personal exploration of photography. It was then my art and my life converged into one. 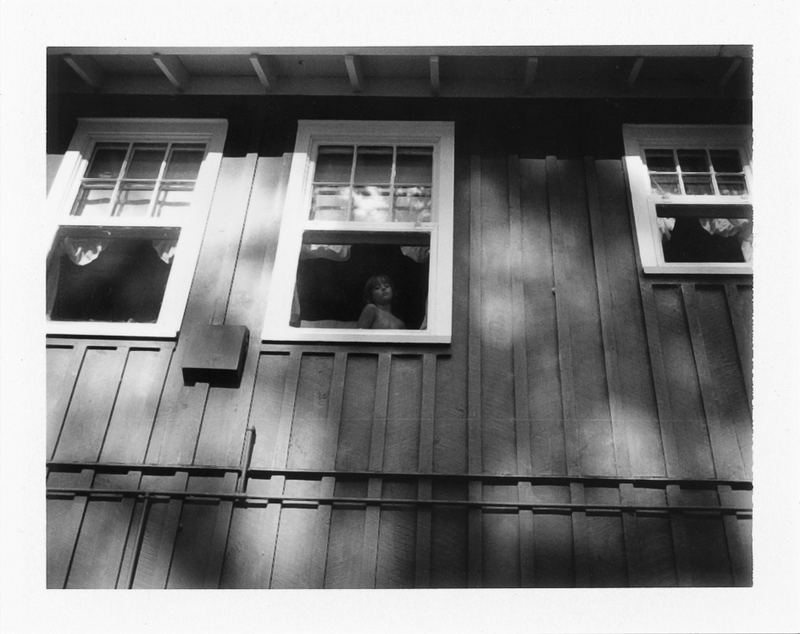 My Polaroid project, The Arc of Summer, was born from time spent with my children during long summer days at our historic family cabin set deep in the woods of rural South Carolina. It began Memorial Day weekend in 2012, with the intention that it would end on that Labor Day. A few months earlier I had purchased a Polaroid Land 100 on eBay. Visually, the camera offered a sense of mystery, immediacy, and a direct connection to the past. Many of our plans included weekend family trips to our historic family cabin, Ark Lodge, so I decided to bring my Land 100 along on our adventures. In an instant, I became hooked and my obsession has carried me to this present moment. I personally feel that my work is deeply affected by my surroundings. Many people have commented that my Polaroid work is subtle, quiet and pensive. Visually, you can see in my work an oscillation between the familiar and the strange. I believe all of these attributes are of direct relation to the presence of Ark Lodge and the property that surrounds it. I always refer to Ark Lodge as "a place where time stands still" because it provokes a natural way of "being." While the cabin itself was built over 70 years ago, it is deeply rooted in a wooded landscape that has managed to escape modernization for centuries. Whenever I arrive, I instantly slow down, breathe deeper and become enveloped into its hauntingly beautiful presence. This is especially so on long summer days when it is unbearably hot, humid, and buggy. Somehow I have learned to quiet my mind and move only in small increments to maintain as much "coolness", as I can. Consequently, these slow actions deepen my awareness of our surroundings. I automatically lose my sense of what time it is. I work intuitively so it’s hard to say exactly what inspires me to make a photograph at any given moment. Quite simply, I would say that I photograph what I love. These days, I spend a lot of time watching my children grow and connect to this land that has been in my husband’s family for three generations. I find their connection to be inspiring because I was completely uprooted from my childhood terrain as a young teen. I also do not have much knowledge of my own family lineage, so it fascinates me that my children are able to walk the same (unchanged) woods that their ancestors did. I draw inspiration from a variety of influences. I tend to gravitate towards artists who have an interdisciplinary approach to art making. Alston Purvis, my lead professor during my graduate studies at Boston University, is my most significant mentor to date. He is an artist who excels with a diverse range of media from design to photography to painting and writing. While a graduate student at Yale, Alston was a student of Walker Evans. They became fast friends and Walker remained a mentor to him until his death. During my time at BU, Alston would share his personal memories and stories of Walker Evans. While I loved design, my curiosity for photography quickly outgrew my painting and design interests. As I began my independent study of photography I became fascinated with photographers like Emmet Gowin and Harry Callahan who made intimate portraits of their family over extended periods of time. I was also drawn to the Polaroid work of Barbara Crane, Patti Smith, Robert Mapplethorpe and Walker Evans. I tend to find inspiration in nature. If I’m not at our cabin, I’m usually outside somewhere. Fortunately for us, we live in a neighborhood full of woods, nature trails, and surrounded by water. Lately, I’m entranced with water and how it is constantly changing. The river where we spend much of our time seems to contain its own universe full of galaxies and stars. It’s a black river, but depending on the time of day its colors can change from caramel to blue. If I’m not outside somewhere, you can find me listening to music, reading at home or researching in a library. I have been studying myths and other writings involving the philosopher Thales of Miletus and his suggestion that “everything is water," the passionate poetry of Pablo Neruda, the writings of Jack Kerouac, and Eastern philosophy. I am also currently obsessed with the painter Agnes Martin and her mastery of subtlety. As a southerner, I have a natural inclination to weave our past in the present through family traditions and storytelling. I have embraced the use of landscape and the way the light poetically changes its appearance. Yes and no. Maybe a better answer would be "sometimes." There is a certain amount of elation or feeling of satisfaction when you make a photograph or piece of art that takes your breath away. For me, however, making art is ultimately driven by an unrelenting desire to ask questions or seek something outside of myself. One question answered often leads to the birth of more questions. For the last three years, I have been working on my series, The Arc of Summer. It is a collection of small, unique Polaroid prints that celebrates the ethereal world of childhood, the waxing and waning of summer, and the wild desire to remain in its embrace. While it documents the blurred lines of reality and play of my children’s lives, it is also a reflection of my own awe-inspired childhood in a rural environment. I am currently working on a book documenting this series. This September, I will have a pop-up exhibition of my Polaroid work at Slow Exposures in Pike County, Georgia.